I got started playing with chain stitch pursuant to the revelation of how easy it is to stitch backwards and can’t seem to stop. From the swirly lines of last week, I doodled some flowers and a moon, atop a yin-yang-ish plot of ground. I varied the number of strands of floss, four in the moon and the left-hand vine, to two for the flowers and the right-hand vine, to six for the ground. Six is really too big for this small a design; I’m much happier with how four and two look. I varied it a little bit for this flower, filling with not only straight chain stitch in the center petal, but also detached chain squished together in the center petals. The outer petals I filled with what I want to call a leaf stitch, but my stitch dictionary tells me that I’m wrong. Basically it’s open detached chain stitches stacked tightly next to each other. 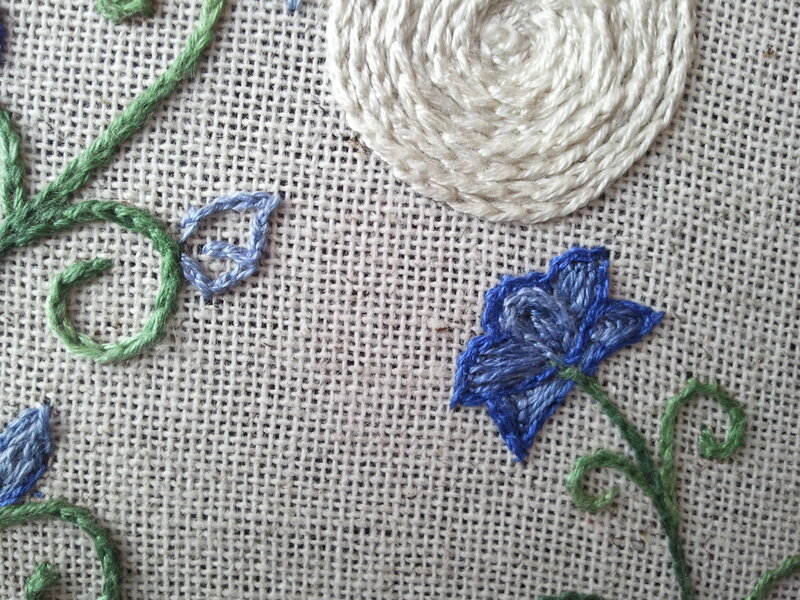 I plan on playing around with the filling stitches on the larger left-hand flowers as well. 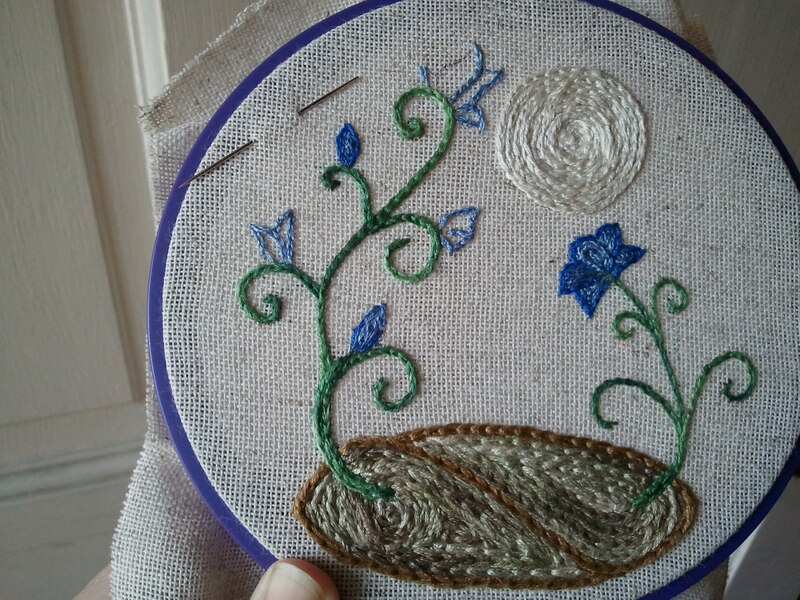 It’s definitely not how I usually stitch petals, but it’s fun to play around with a different method. This entry was posted in Uncategorized and tagged chain stitch, flowers, goofing around by Rene. Bookmark the permalink. Beautiful! I can’t wait to play with that myself.